The Social Popularity Contest: Are You Winning? You’re being judged online whether you realize it or not. 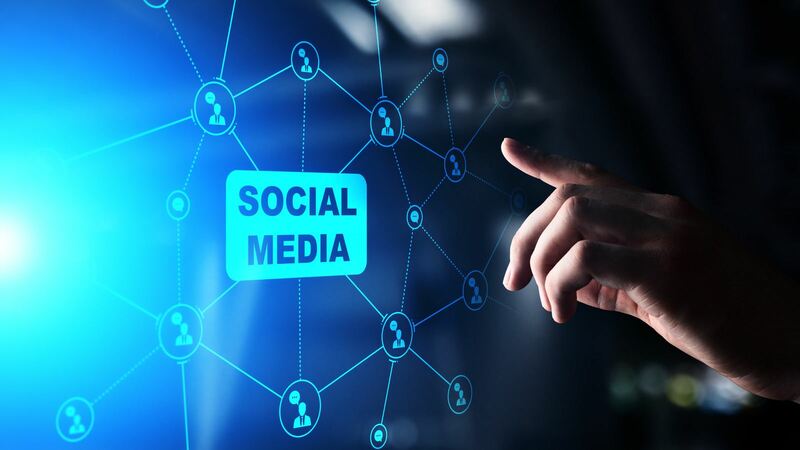 If you participate on any social network, you are likely being scanned for potential relevance to brands, businesses, and marketers. There are a variety of different social influence scores out there on the internet, and you, friend, are being graded. Your social influence (phrased in various ways such as “social authority”) is, in essence, how influential you are deemed to be by the entities that do the scoring. You don’t have to like your scores, but if you are in business or marketing, you’ll probably at least want to know what they are. There are folks out there who use these scores as criteria for such things as following you on Twitter, “liking” your page on Facebook, “circling” you on Google Plus, and in general, interacting with you on social networks. There are even some organizations that look at applicants’ social influence when screening them for jobs. A marketing or public relations firm, for instance, might prefer a new hire to have a solid social record of his or her own. Now that we know what social influence is, who is grading you and HOW are they doing it? Over the past couple of years, the ways of estimating social influence have expanded a great deal. There are plenty of ways a person or business might assess someone’s social worthiness. But for now, we’ll dive deeper into four websites that analyze and quantify your social score. I happen to like Klout. Although for reasons I will explain later in the post, I do take Klout scores with a grain of salt. 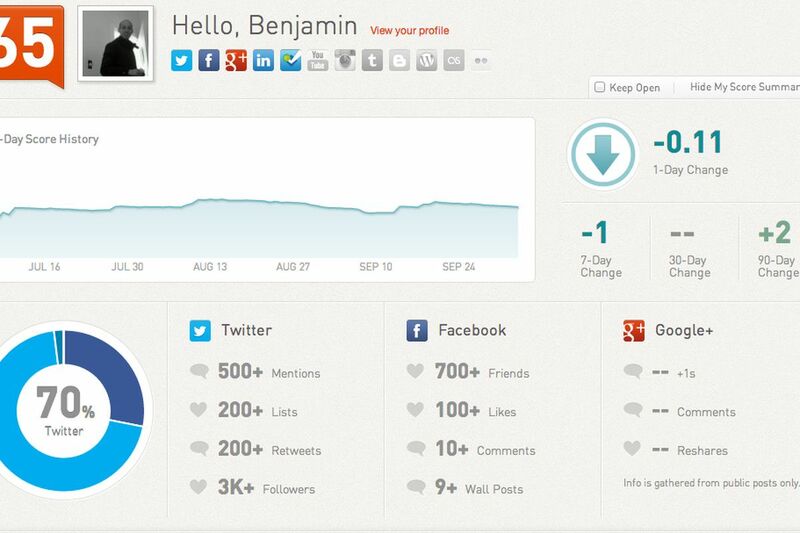 Klout scores are based on your activity from any of the social media networks you choose to connect to the service. I should probably be proud of my score today – 66. That allegedly puts me in the top 10 percent of social networkers. However, I will be guardedly optimistic about that possibility. Klout has recently expanded its reach by adding content sharing and scheduling capabilities from within its web dashboard and by making a significant upgrade to its iOS 7 app. Plus, Klout offers “Perks” to certain influencers. Brands pick criteria and target influencers based on scores and other characteristics and offer them free or discounted goods and services. To date, I have received a one year The Red Bulletin magazine subscription, a large discount from GoDaddy, and free Brownie Brittle. The idea is that the people who receive these “Perks” will then leave positive reviews and/or engage with the brand and become customers. Social Authority is a metric calculated by Moz’ Followerwonk application. However, it only includes Twitter activity. This one is significant in that many people use Followerwonk to screen and target Twitter accounts. Again this information is only a partial picture of someone’s web presence. 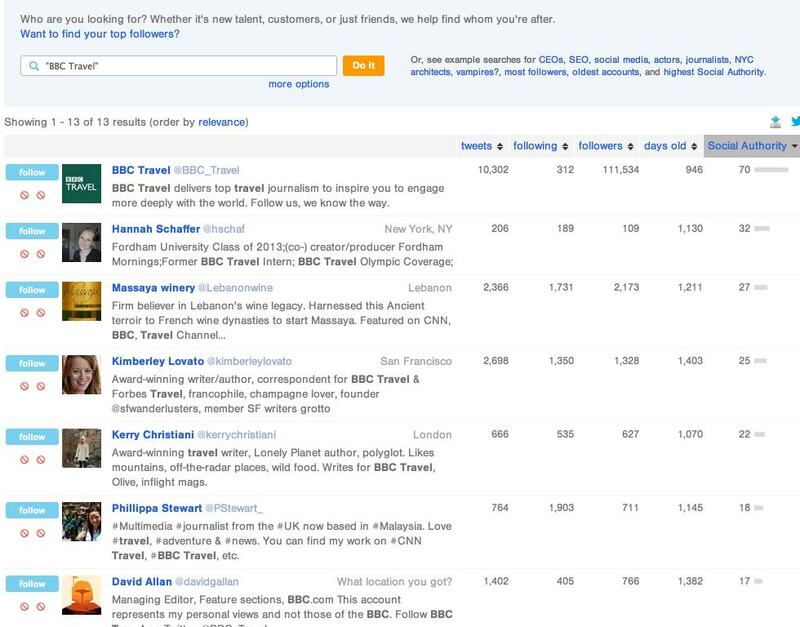 PeerIndex assigns values based on social activity, engagement, and relativity to your audience based on what you post. PeerIndex focuses on assessing the “people-centric” activity level rather than the “message-centric” activity level. However, to be graded by PeerIndex and to receive the best feedback, you must pay $100-$5000 per month. So if you don’t pay, you don’t really have visibility on your own scores and activity because most of the insights require a paid plan. We can assume that these insights will be similar to our other social influence scores. Kred is similar to Klout in that it is free to use and gives rewards to some influencers. One of the great things about Kred is that it shows you a detailed report of how you have the score that you do. Kred, however, does have a downfall – It only looks at activity from just Facebook and Twitter. So if you’re a super pinner on Pinterest or an influential leader on LinkedIn, it won’t matter to Kred. How Relevant are These Scores After All? I mentioned that I take these scores with a grain of salt. That’s because social influence scores, while based around some mathematics and logic, can’t provide a full picture. If someone has a really high or a really low score, you might be able to conclude something very general about his/her web presence. But a high score might mean someone is very, very influential on one network and/or about one topic. This network and topic may or may not be relevant to you. Also, scores are a general indicator of how engaged someone is on social media but not with whom. How can you know if YOU would consider the engagement to be of high quality or high relevance to you? You have to dig deeper than a score to draw conclusions. I’m so excited about my Klout score of 66, right? Good for me? Sure, it’s good. But my husband (whom I adore) has a score almost as high as mine. 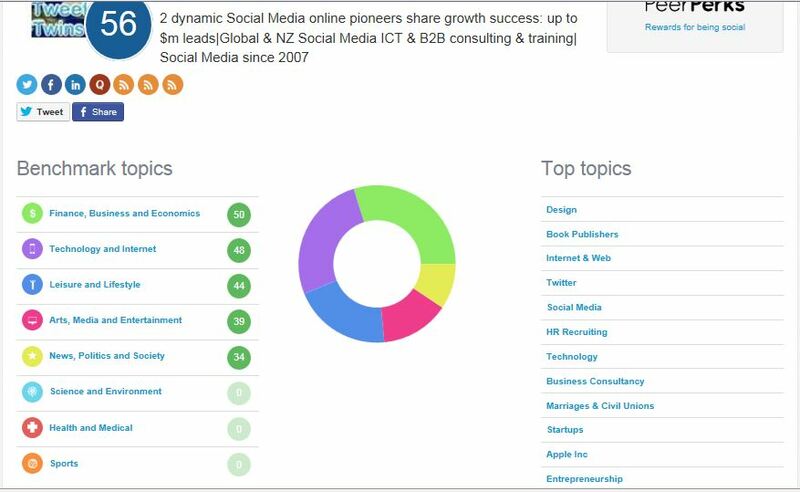 My score is derived from painstaking business and personal social engagement across the web. His score is mostly derived from a Facebook group related to motorcycles, sharing memes, and posting “LOL” a lot. I’m not at all suggesting that he is unworthy of his score. I’m just pointing out that there’s a vast difference between the type of activity we engage in, yet our numbers are close in proximity. Another thing about Klout is that it has browser extensions for Chrome and Firefox that allow users to see Klout scores right inside the Twitter interface on the web. So as I’m viewing Twitter feeds, I can see what Klout thinks of people right next to their tweets. But this has led me to further conclude that these scores must be taken in context. One of my absolute favorite tools is Buffer, and although its score on the Klout site reads to be 77, it actually shows up with a score of 59 when I view it in Twitter. Raise your hand if you think my social influence is actually greater than Buffer’s? Now if you raised your hand, go stand in the corner because that’s just ridiculous. Buffer has an enormous following on its own blog and on all of the major social networks. Buffer painstakingly favorites/likes/replies to questions, comments, and shares. They are socially awesome and massive. So there’s no universe in which my influence is greater than theirs. What’s a Good Strategy to Manage Social Influence? 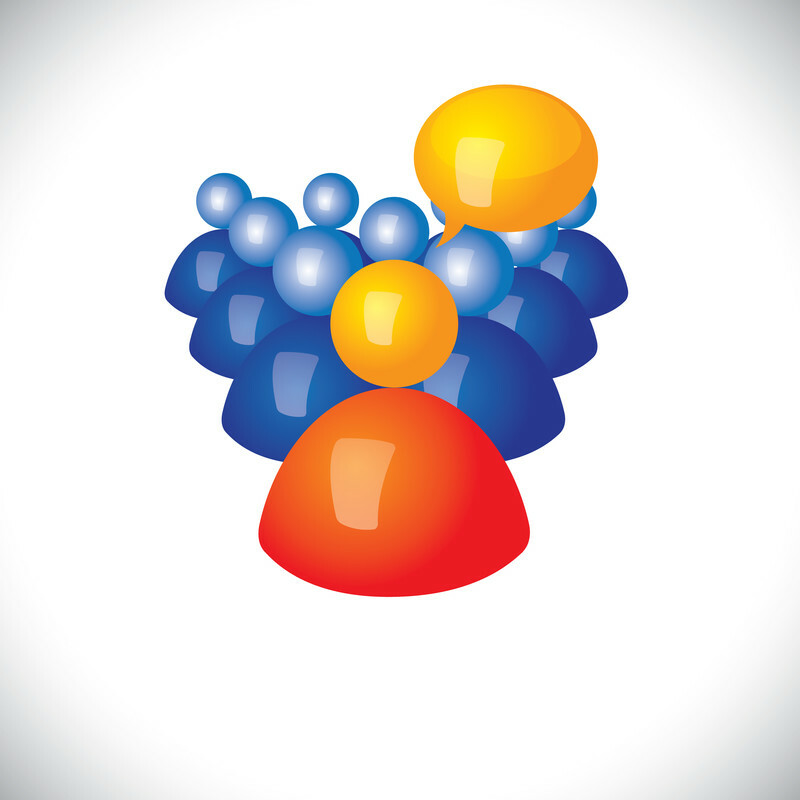 How (or if) you use social influence scores should depend on your goals. If you’re just a casual social networker who has no interest in gaining influence or establishing a social resume for professional reasons, you need not care about these scores at all. But if you’re an entrepreneur, a business owner, a marketer, or a job seeker in certain industries, you’ll want to at least be aware of your scores and try to improve them. You might want to build your network and influence by targeting quality social networkers. Here are some suggestions for you based on the assumption that you’re small but mighty or just getting started. These are derived from our own strategy. More is more. Share and post more on your social networks. Strive for quality. Engagement and interaction are key components. Give to get. Ask questions, share others’ content, take a genuine interest in your followers. Be consistent. This is the hardest part for most busy individuals (but you can use tools like Buffer to help you!). Absences from social media will hurt your scores – period. Use Twitter and Facebook’s organic search functions to look for people based on your criteria (industry, location, etc.). 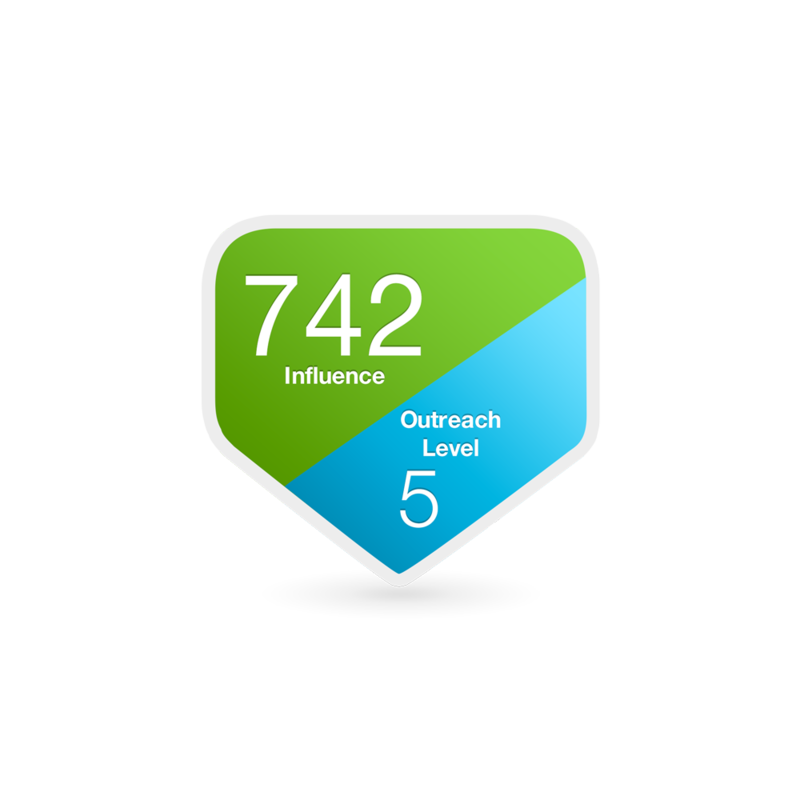 Take a broad view of social influence scores, and realize they are not the only component you should consider. Be more focused on how relevant they are to you, what they share on their networks, and how they interact with their own followers. Find accounts and pages that you just happen to enjoy, whether they are directly relevant to your business or your goals. This will enrich your own experience and afford more opportunities for you to engage. Keep in mind that the more influential the person, the less time he or she might have to interact with you. A Twitter account with 500K followers that only follows 12 people is probably not going to garner much interaction for you, though it’s nothing personal. Don’t just target potential customers or employers. Target peers as well. 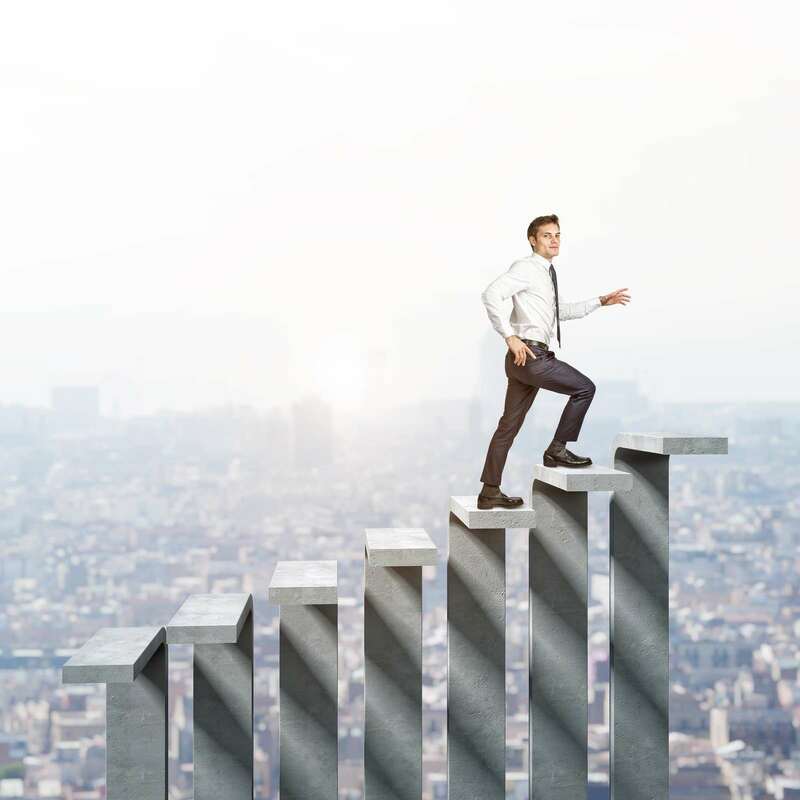 If you are a good social citizen and you are consistent in your contributions, your scores are sure to climb. The higher your scores get, the longer it takes to make improvements to them. But consistency and truly being human (not TRYING to be human or STRATEGIZING to be human but actually being yourself) on social will get you there. And wherever you are on the social food chain today, just remember that others are being judged, as well. They might be trying to improve their own scores or target people like you to follow. Think twice before including or excluding someone based on just a score. You could be a hero or find a diamond in the rough. What are your thoughts on social media scores? Let us know in the comments!